Spiro is a hands-on Chief Executive Officer at Centaur Construction, responsible for every facet of growth and development for all construction services and project divisions, focusing on quality assurance and customer satisfaction. His ambition and passion, coupled with an aversion to failure, has helped him build Centaur into the highly respected industry leader that it is today. Spiro achieves more than providing professional construction services for clients, he builds relationships and goes above and beyond just “building” buildings. 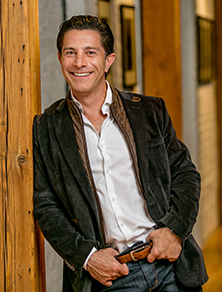 Similar to his personality, Spiro takes a unique, fast-paced, think outside of the box approach, which sets him apart and allows Centaur to stand out from your average General Contractor. Spiro, who was born and raised in Athens, Greece, moved to Chicago in the early 90s. Early in his career he had the opportunity to supervise complex renovations. It was during this time that he learned hands-on, design-build construction. After gaining years of experience working in the industry, he noticed an aspect of construction that was missing and wanted to change the way construction was viewed, which led him to start Centaur Construction. Through his leadership and vision, Spiro has driven the development of the company into a progressive, cutting-edge industry leader. Spiro’s personal, much like his professional life, moves at such a rapid pace that few can keep up. He has a strong and close Greek family background. He is engaged to an amazing, successful woman, Corri McFadden, who is respected in her own profession, and with whom he raises a beautiful daughter Zelda and two dogs. Residing in the Gold Coast area, Spiro takes advantage of everything Chicago has to offer.